Six light chandelier. 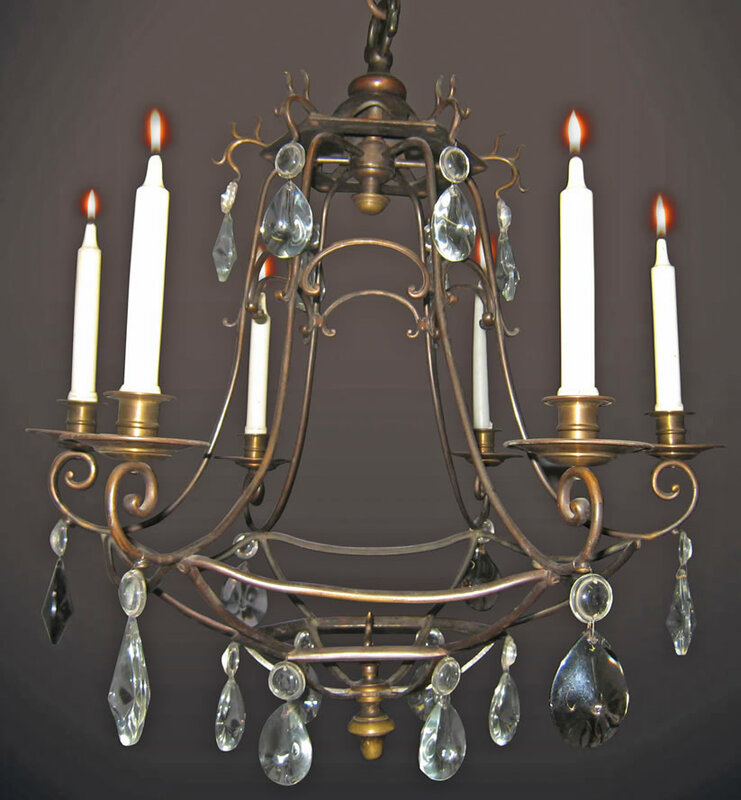 Patinated bronze with crystal trim. Continental, 19th century.